The catering industry needs to check that it buys seafood from a reputable supplier if it wants to avoid purchasing unsafe, poor quality or illegal stock. 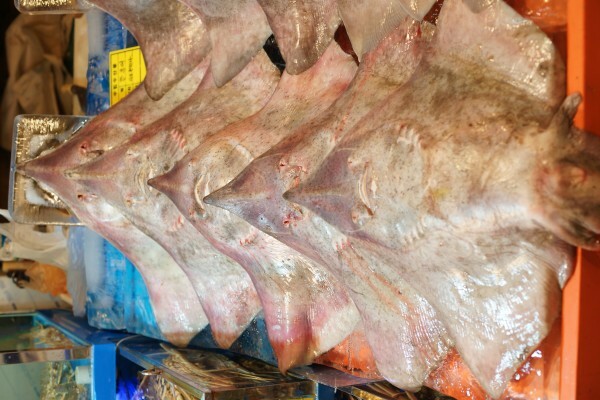 That was the joint warning from the Marine Management Organisation (MMO), and Food Standards Agency (FSA) together with the British Hospitality Association (BHA) after it emerged that cod, skate and bass are all being sold illegally around the country. The trio are working to raise awareness of laws around the purchasing of fish and shellfish products. It suspects that fish caught from unlicensed, unregistered fishing vessels, shellfish harvested from unsafe areas and protected juvenile lobsters and crabs are being offered for sale direct to the industry. Under the Registration of Buyers and Sellers (RBS) Scheme 2005, which is enforced in England by the MMO it is a criminal offence to buy fish caught from a boat which is not licensed or registered for commercial fishing. The scheme aims to help fisheries administrations to keep track of the amount of fish species being landed and sold. It also increases traceability of fish, in turn helping the catering industry to obtain the freshest produce. The MMO also co-ordinates monitoring of wild fish products imported into the UK, estimated at around £1.6 billion of fish per annum. Rod Henderson, head of coastal operations for the MMO, said: “Caterers should be conscious of the trade in illegal fish caught and sold from unlicensed and unregistered boats. Such supply chains can have a negative impact – both on the price and availability of a wider range of fish for customers. They can also affect fish stocks, a resource we want to protect for future generations. The FSA is responsible for monitoring the shellfish harvesting industry and classifying safe shellfish harvesting areas.